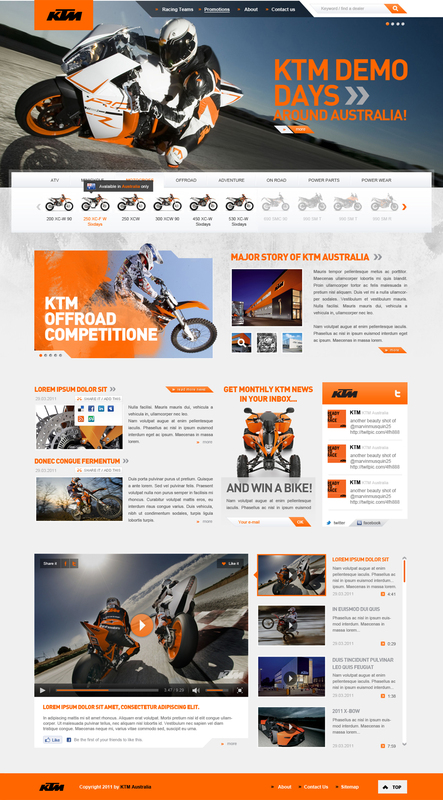 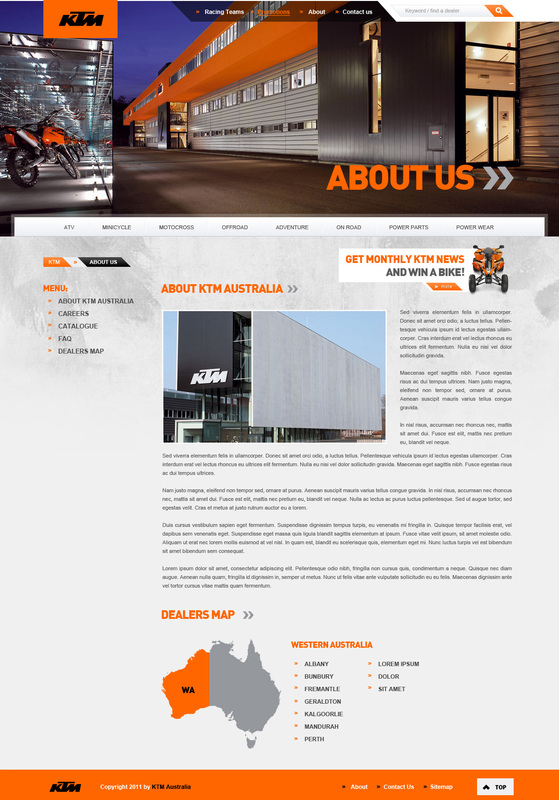 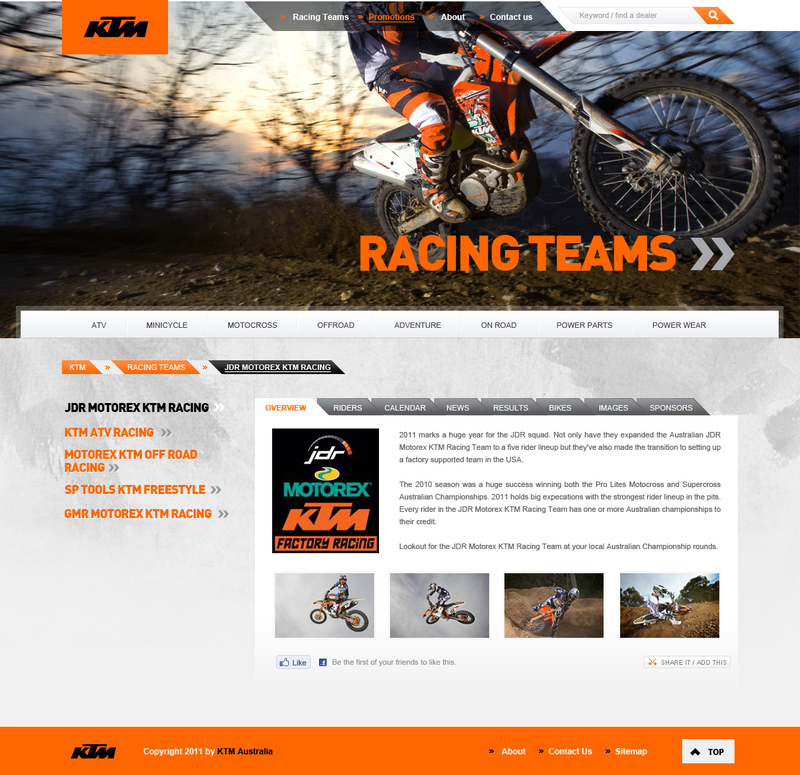 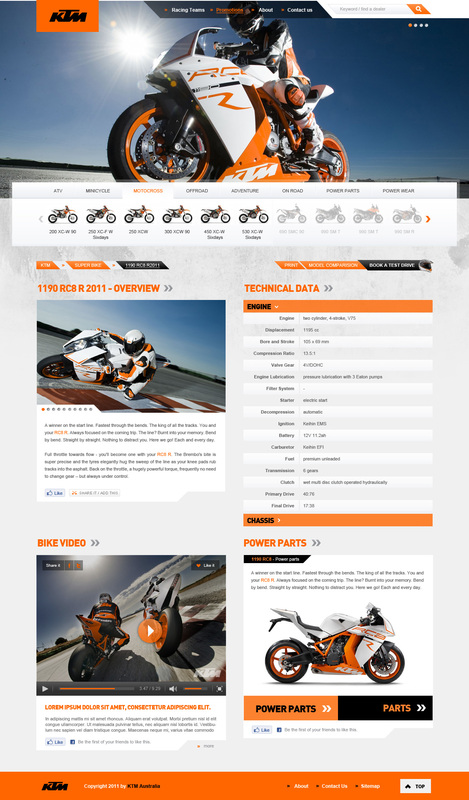 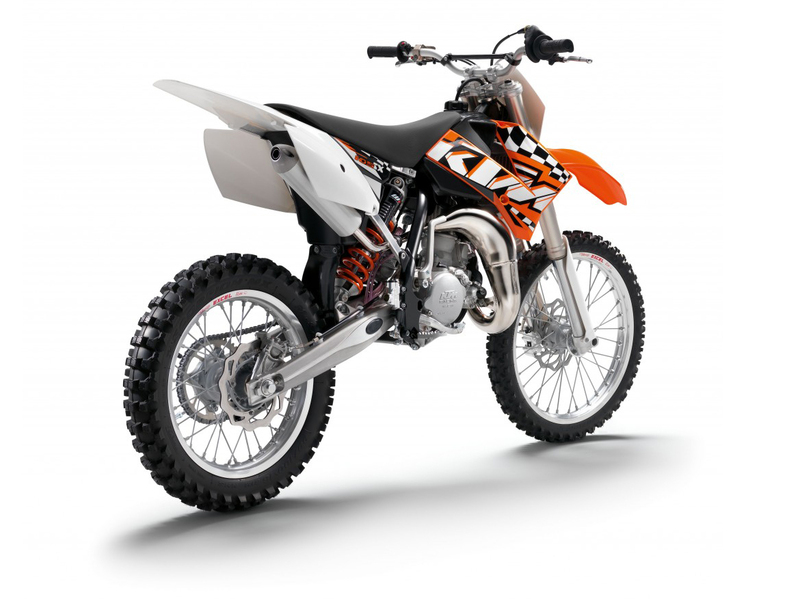 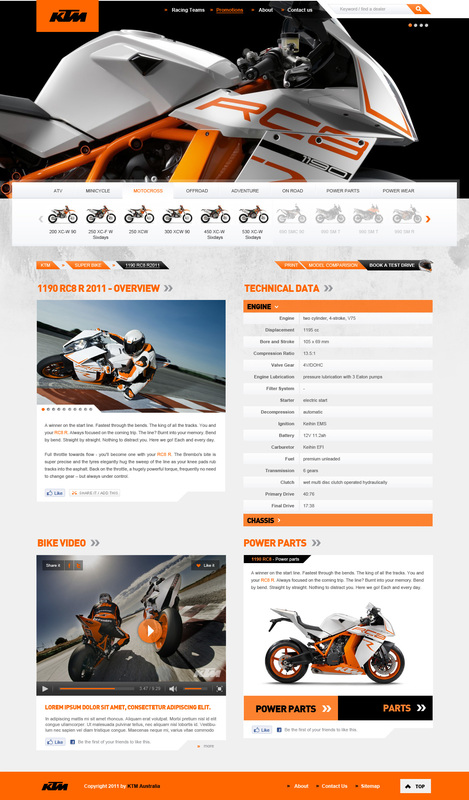 One of the most renowned motorcycle companies in the world, both racing and motocross. 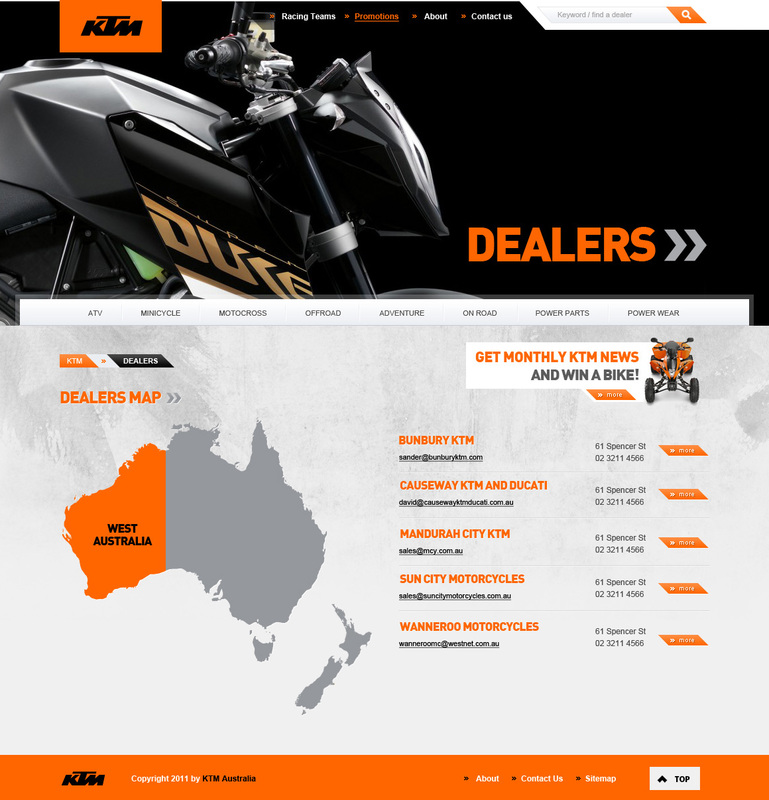 For a sales representative in Australia and New Zealand I have designed a full service horsepower inspired by the shapes of motorcycles, speed, and love for two wheels. 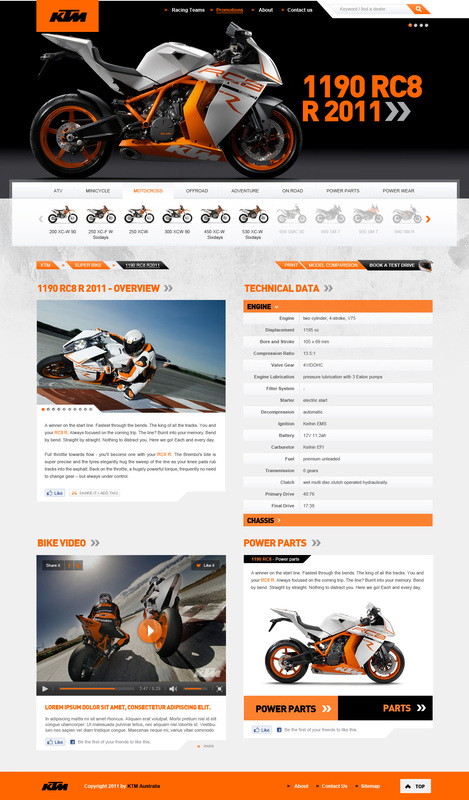 Easy browsing of the available types of motorcycles. 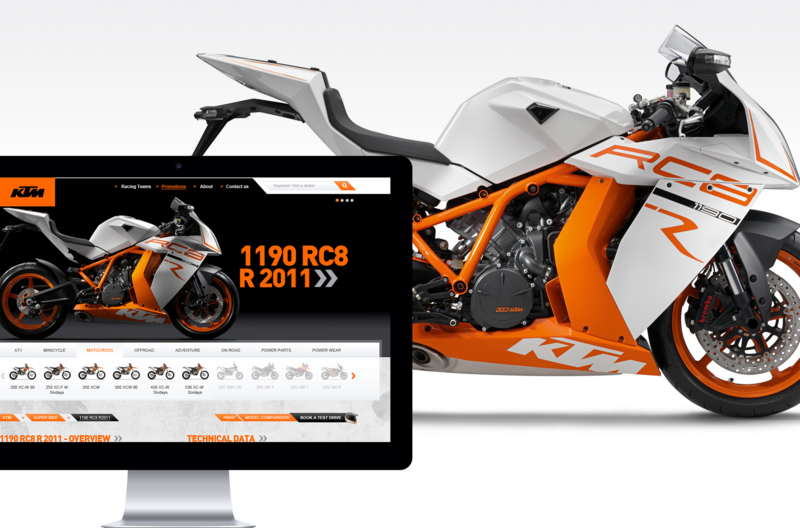 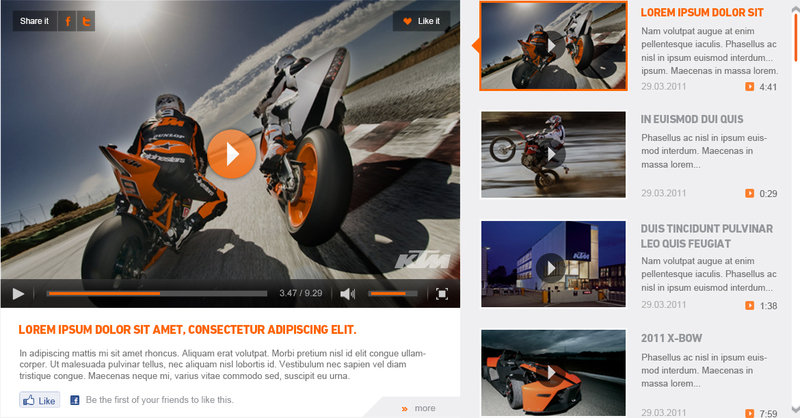 In this case I focused on large photographs depicting the motorcycle model with important details and shapes. 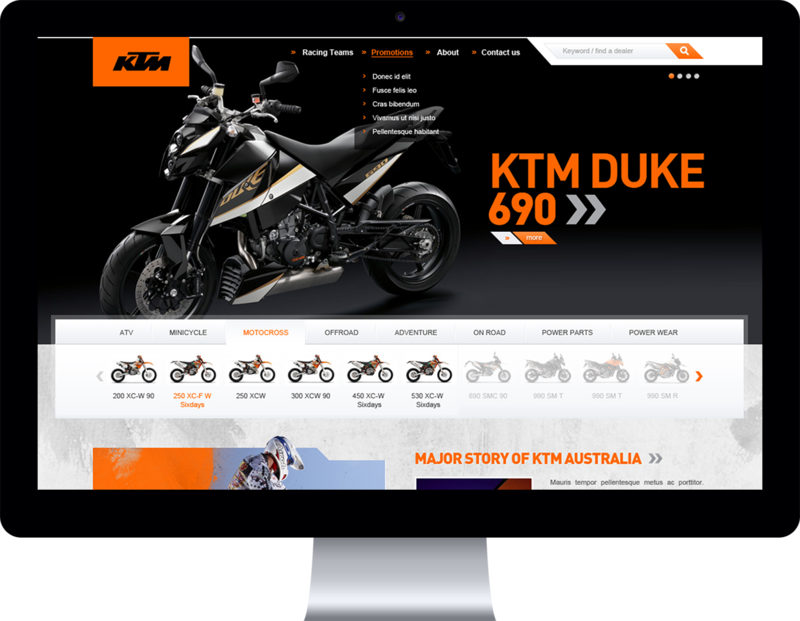 It is a subpage of the product so it could run out of movies on it as well as technical data and the possibility of comparison with other models. 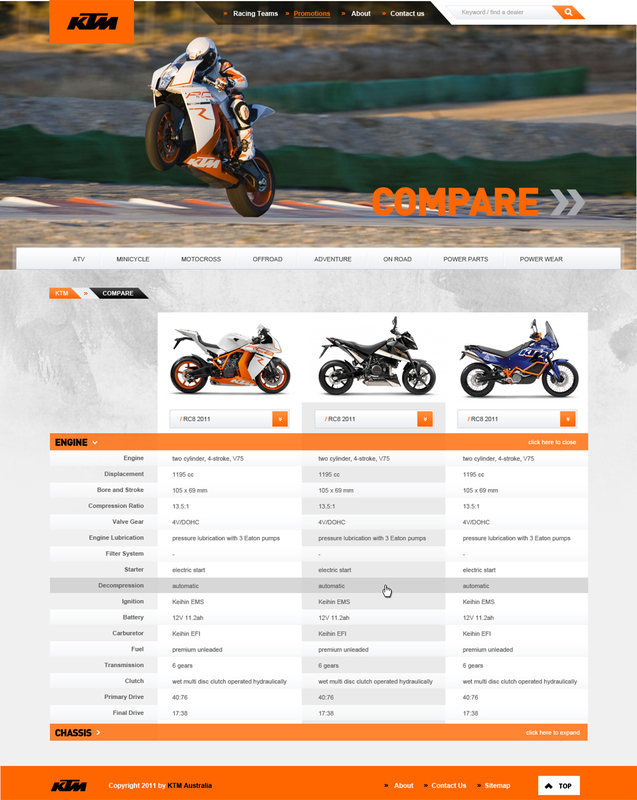 Comparison of selected models of motorcycles. 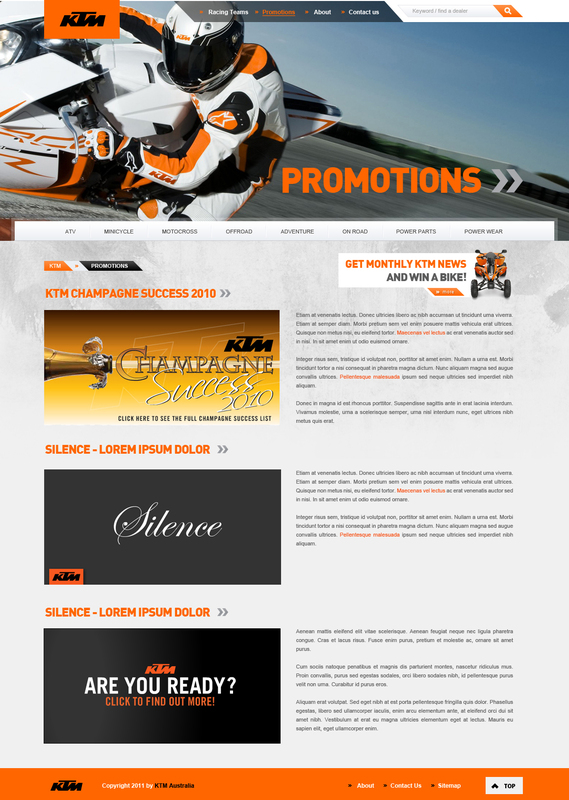 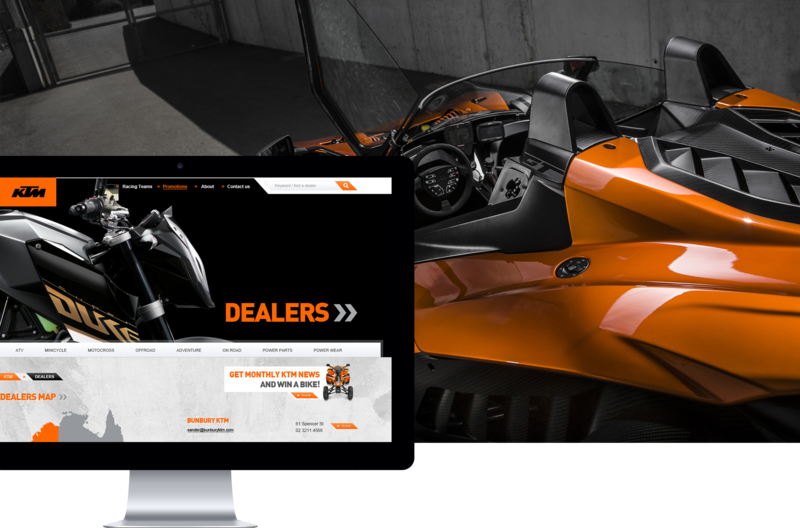 A few selected additional pages, like Racing Teams, Dealers, Promotion and News.